Our Naperville Farmstand reopens on Wed, April 24. Our Oswego Farmstand reopens on Fri, April 26! 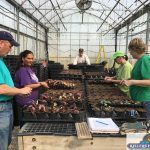 Our greenhouse is filling up with flower and vegetable plants! 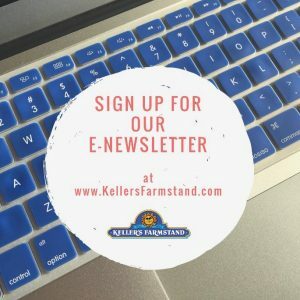 Celebrate Spring, Summer & Fall at Keller's Farmstand! Our family has been farming for five generations! We are dedicated to growing high-quality flowers, sweet corn, vegetables, apples, and pumpkins. We made it! Spring has finally arrived! These beauties, as well as many others, are growing in our Oswego greenhouse with lots of love. 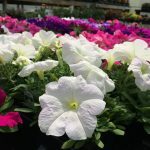 Our Naperville and Oswego Farmstands will open at the end of April with flowers, succulents, house plants, herb & vegetable plants, perennials, hanging baskets, and more! We will reopen on April 24th with flowers, vegetable & herb plants, hanging baskets, planters, and more! 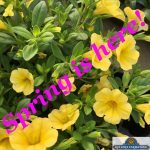 We will reopen on April 26th with flowers, vegetable & herb plants, hanging baskets, planters, and more! See you in July with sweet corn!